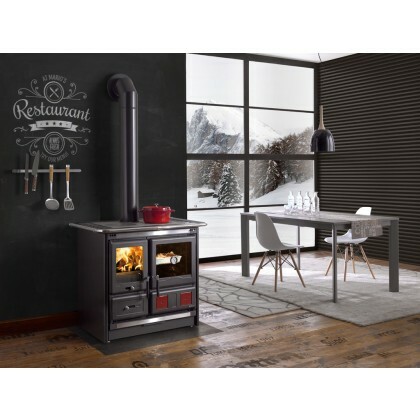 Our wood burning cook stoves offer a perfect blend of design, quality, and efficiency for your heating and cooking needs. Made in Italy, La Nordica cook stoves feature great durability, efficiency, safety, and quality. 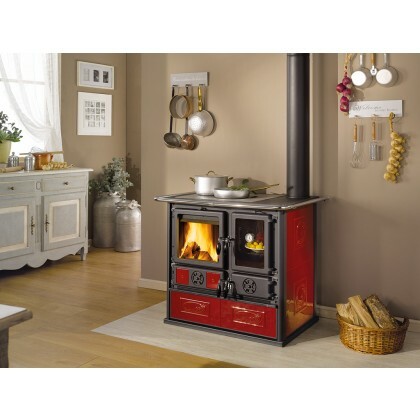 The primary function of these stoves is indoor cooking however they also provide a very significant source of heat for home, cabin, or cottage, even in the harshest climates! 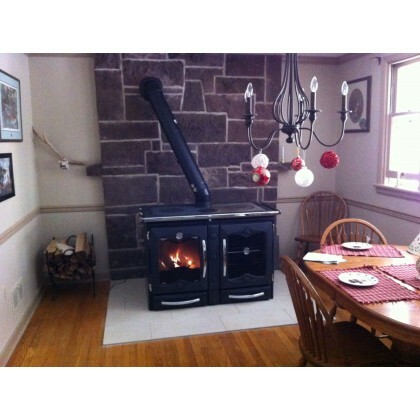 Keeping in mind that all wood stoves are space heaters these stoves are capable of heating an open concept area of 1600-2400sf with 9`ceilings. This is a conservative estimate as we have reports from customers of our larger stoves heating houses up to 6000sf. Please note: all our cook stoves without exception can be connected to chimney either from the top or from the rear. 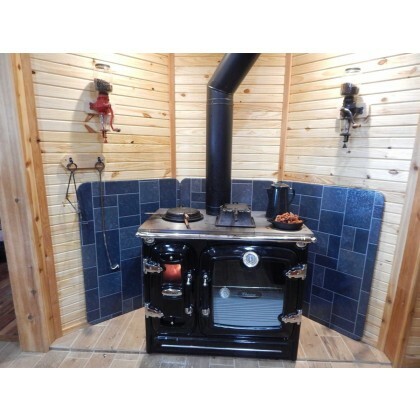 There is a chimney connection on the back wall of each stove. 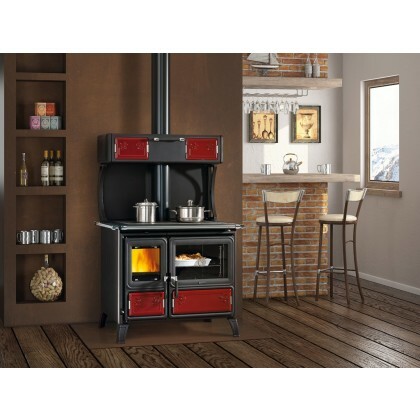 Discover the world of modern cook stoves: the world of heat, comfort, and style! 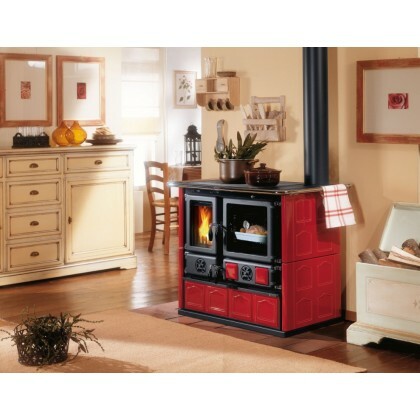 Wood Cook Stove La Nordica "Rosa Maiolica Cappuccino"